We have been on a huge seafood kick recently. Seafood is delicious and generally healthier for you. Although I live in Florida, there is not a lot of great seafood around. We are constantly searching for new and delicious seafood restaurants. Bonefish Grill treated us to a gift card to visit at our leisure. We decided to get dressed up and make it a date night. When we arrived on a busy weeknight, we were immediately seated. The restaurant has a nice, romantic atmosphere. We were in a quiet back corner both. We started drooling over the menu and debating on an appetizer (a must for foodies on a date night) and our entrees. 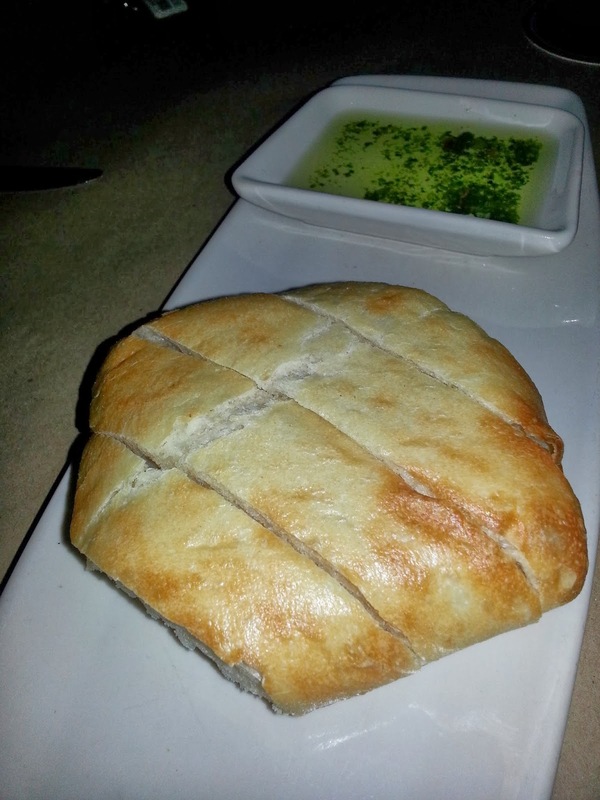 While we were deciding we were treated to delicious bread with dipping oil. We decided to get the BFG Imperial Dip. 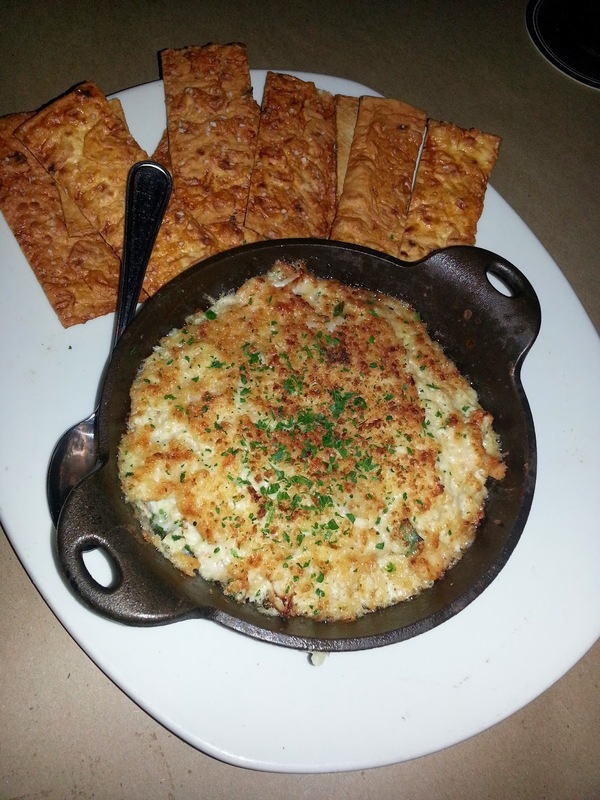 This dip is creamy and cheesy with crab meat, shrimp and scallops and it is served with crispy flatbread chips. This dip was delicious! We ate every last bit of it. I was impressed with the amount of seafood that was in the dip. We have ordered seafood dip in the past from other restaurants only to be disappointed at having melted cheese with a few tiny pieces of seafood. This dip was packed with crab, shrimp or scallops in every bite. We were split on our opinion of the flatbread chips that were served with it. They tasted like flattened pretzels and were very salty. I thought they complimented the dip well. My Husband however didn't care for them and ended up using the bread we were served to dip instead. For our entrees I went with one of the specials: Kate's Wild North Atlantic Haddock with Feta and Artichokes. It is described as "garlic crumb dusted, wood-grilled, topped with a lemon basil butter sauce and served on garlic whipped potatoes". 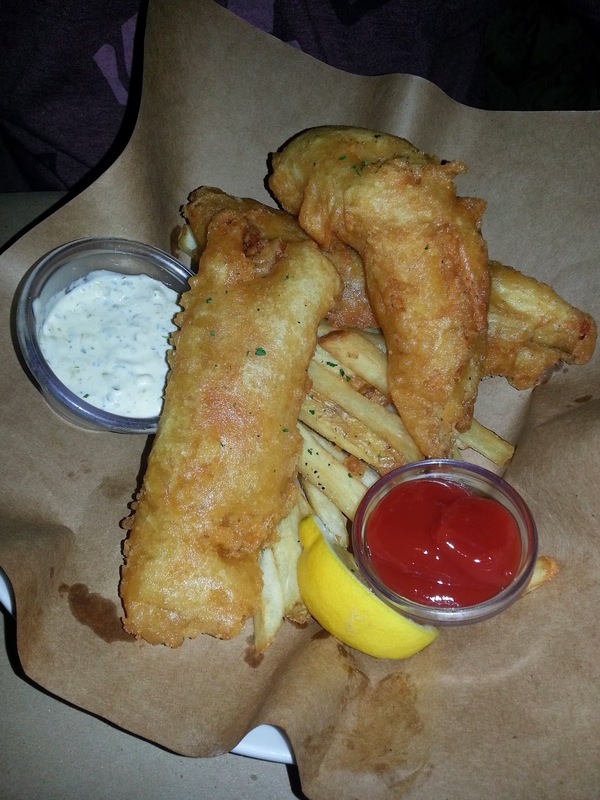 My Husband decided that he wanted to try their version of a classic favorite and ordered their Fish and Chips. I really liked the Kate's Atlantic Haddock. The fish was well cooked and the coating was very flavorful with a nice crunch. Of course the feta and the artichokes did not hurt. :) The Haddock definitely melted in my mouth and I wished that I had even more of it. The whipped potatoes were really good and creamy. I wish I had known that they were going to put chickpeas on the plate. I am not a fan. I tried them anyhow for review purposes and I still don't like them. They seemed undercooked and the flavors that were put with them were gross. I would have preferred for them to have been left off the plate. My Husband liked his fish and chips. I had a small bite of the fish and it was tasty. The batter was light and airy. The fish had a nice crunch. The fries were also well seasoned and tasty. Overall, we enjoyed the food at Bonefish Grill. Unfortunately, the service did not live up to the food. Our waitress asked me if I wanted a refill on my diet coke (it was empty and we were eating our appetizer at the time...of course I wanted a refill). She took my glass and disappeared. After 25 minutes (we had finished our appetizer and had been waiting for awhile at this point) I had to go up to the hostess stand and ask for someone else to bring me a drink. A few minutes later a manager (who was standing at the hostess stand and heard my complaint) "checked" on us. It was another 10-15 minutes and after our food appeared that our waitress finally came back to our table. She was then absent again until she brought our checks. We had another manager briefly "check" on us, but no apology, no comped drinks....nothing. I am hoping that our poor service was just a one time occurrence. However, it doesn't make us want to come back anytime in the immediate future. It is a shame since we did like our food. 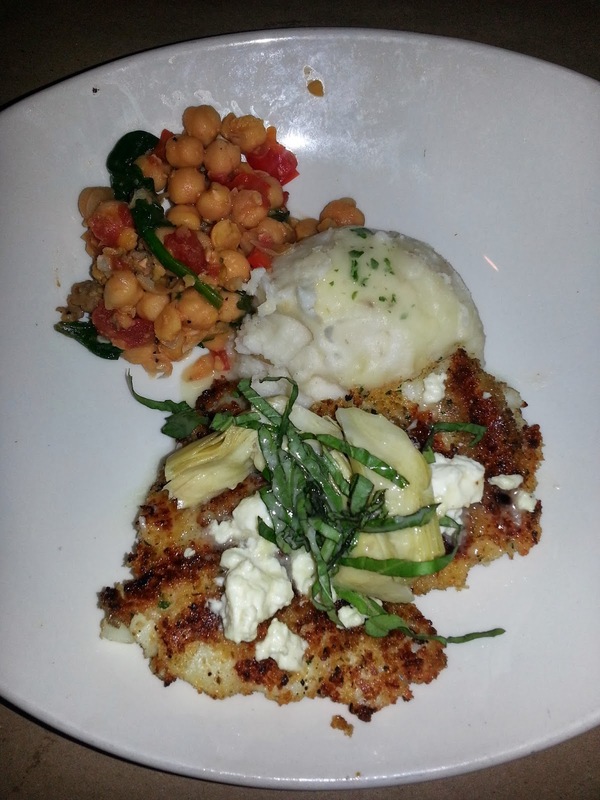 Have you been to Bonefish Grill? What did you think? Bonefish Grill is now serving Brunch on Sundays. Their brunch menu includes Eggs Benedict, Kobe Beef and Egg Burger, Cajun Shrimp Omelet, Organic Whole Grain Oatmeal and more. Mixologists are also giving the classic Bloody Mary a zesty new twist by preparing them with either a stuffed spicy cherry pepper or jumbo shrimp. Contact your Bonefish Grill for more information and specials. I love Bonefish! It's one of my favorite restaurants. The food is good quality and the prices are fair. I've literally eaten there 100 times over the past 10 years and only had bad service twice. So, usually the serve is very good. Give it another try ;) Oh and the brunch is really good! They have a really yummy non-alcoholic berry drink and of course mimosas! I have heard a lot of good things about this restaurant. Thank you for your review. Great review. Thank you so much for sharing it with us. The pictures look so good.